TF- South — At Thornton Fractional South High School, “A Wall of Honor” marks military personal who attended high school there and have gone to rest after fighting for the United States military. 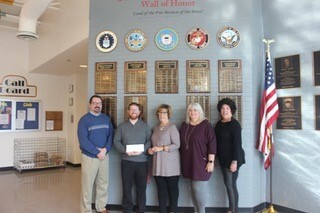 Alumni Nancy Hill, Kathy Poe and Linda Todd recently honored the wall with a donation check. TF North — The positive responses from all students and families is proof that the 1st Annual Hispanic Heritage Month Celebration was a success! Job Well Done, T.F. North Family!The Hispanic Heritage Month Interdisciplinary Team (Mrs. Boesenberg, Mr. Bradshaw, Ms. Cole, Ms. Ramos, and Mr. Posley) would like to thank all staff who participated and helped this month be a true success! From buying t-shirts, to helping and attending the food truck tailgate, to staying after school and dancing to the beautiful music of the Mariachi Band, dressing up for spirit week, and missing instructional time to bring your classes to the assembly, your contributions and efforts are truly appreciated. 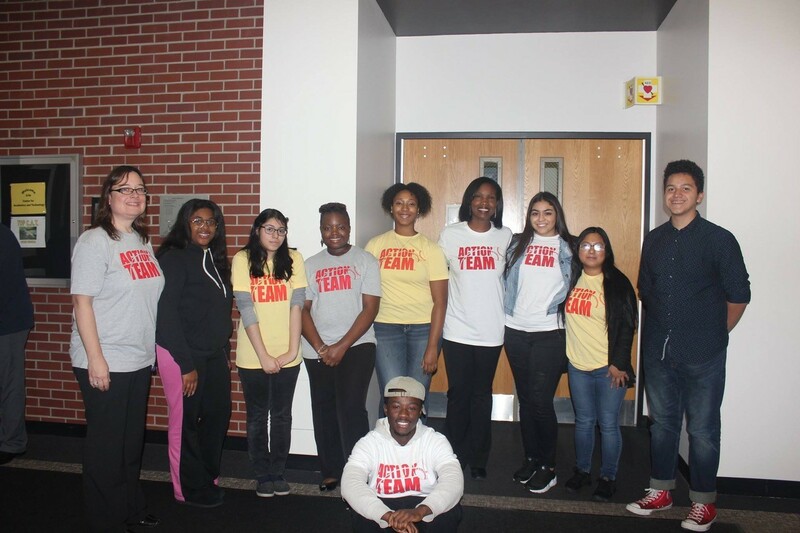 Besides our team, Mrs. Desoto hosted a successful Library Read-In and some teachers such as Mr. Altenburg and Mr. Stephan integrated projects and assignments into their lesson plans that included parent participation and we want to send a special thank you to all teachers who embraced this month in their lesson plans as well. TF North — Members of the TFN Action Team never stop helping. 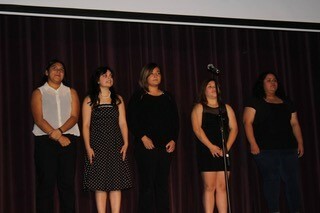 The group held a Thanksgiving dinner.